State Library Victoria – Arts on Film: Opera Screening – Armida. Arts on Film: Opera Screening – Armida. Armida : an opera in three acts, is the next program in the Arts on Film series to be screened this Wednesday July 24. Please note that from today Arts on Film screenings will be held in the new Community Lab with our nice big new screen! Enter via the Arts Reading Room (from Trescowthick Information Centre). With music by Rossini, this spectacular rarely performed opera set at the time of the Crusades, features Renee Fleming as the raging sorceress Armida who enthralls men in her island prison. With artists of The Metropolitan Opera Orchestra, Chorus & Ballet, conducted by Riccardo Frizza. With Lawrence Brownlee as Rinaldo. Armida is sung in Italian with English subtitles. 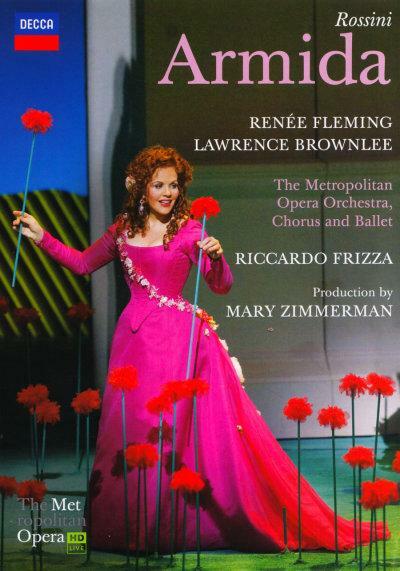 This production was filmed live in HD at The Metropolitan Opera House, New York City on May 1st, 2010. Armida commences at 12.00 noon and concludes at 2.50 pm (approx). It will be held in the new Community Lab. Enter via the Arts Reading Room (from Trescowthick Information Centre). Admission is free. No bookings required, but come early as seating is limited. Enjoy!